We here at Star Steppers are always thrilled to help with Dance and Theatre within schools. Whether it is creating schemes of work, assisting with themes within the National Curriculum to support the learning of classroom topics within the national curriculum or to enhance the teaching of dance as a physical subject and creative subjects such a drama and music. Anna is a former Head of Performing Arts at one of the UK’s leading independent schools. Hannah and Anna headed up BTEC dance at The Beacon and The Warick Schools in Surrey and have over a decade of experience teaching a wide variety of dance projects both during and after school. As everyone knows we just love putting on a show! A number of schools invite us in each year to choreograph, write scripts or direct their school productions and concerts. Much like sport, performing arts makes up the face of a school. Friends and family pour in to watch school productions and the pressure is on to produce something amazing! Christmas is a popular time for this and Summer productions and concerts. We can help you create something memorable and magic! We also have a whole catalogue of material to save you spending out on scripts and performance rights. School Productions include… Into the Woods, Matilda, Fame, High School Musical, Labyrinth, Snow Queen, Lion King, High School Musical, The Wiz, EYFS / KS1 Nativities and summer concerts. Star Steppers are also the proud host of The East Surrey Dance Festival which sees over 1,000 children participate in one of the county’s most established events. Our Step Into Education department has been built on our knowledge and skills of performing arts but also our experience with working with so many schools. We recognised the need for schools to have easy to use resources starting from lesson plans to schemes of work to fully developed creative curriculums that serve the whole school. 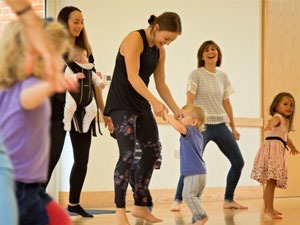 Teachers who use our resources enjoy the easy to follow dance/ movement tasks and are confident that each plan has key learning objectives and introduces children to a wide variety of dance skills as well as the three strands of dance in education; composition, performance and appreciation. We are sure many of you lovely teachers are in agreement that sometimes there is just not the time in the school day to physically teach dance yourself. That is why we work extensively with so many schools delivering dance as breakfast/ lunch time clubs, one off workshops and regular weekly dance sessions. By facilitating dance for schools we are able to lift some of the pressure enabling teachers time to plan, mark work or even have a cup of tea! We appreciate each school is unique and if you cannot find what you are looking for do not hesitate to contact us. We can create bespoke schemes of work, workshops and productions to meet the demands of your school. Want to find out more about Star Steppers in Schools? Fill in the details on the form and we'd be delighted to assist! Step Into Education Dance Workshops for schools, tailor-made to compliment the national curriculum and designed to help children learn through physical activity and performance. A stimulating and energetic way for your students to start their day, these sessions are proven to prepare student’s minds and bodies for the school day. These Wake & Shake classes are hugely popular so enquire now to avoid disappointment! Star Steppers vocational training program for schools. Teaching students key dance skills and techniques in a range of dance styles including jazz, musical theatre, ballet, contemporary and street dance. Star Steppers provide Dance Inset training for teachers in schools in and around Surrey and South London. Offering informative dance teaching support and guidance on how to introduce more dance in your school. Inspiring and creative dance lesson plans for all ages and key stages, designed to help you and your school incorporate dance into the school day. 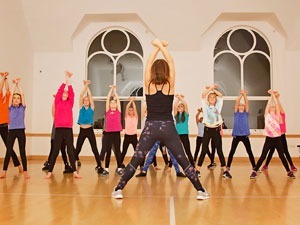 Whether you are looking to teach dance in PE lessons or explore an alternative approach to teaching other subjects – dance can cleverly combine physical activity and learning into one session. The East Surrey Steps Up Dance Festival and the new Surrey Dance Competition, in association with Active Surrey, are a wonderful opportunity for schools to showcase their student’s dancing talent in a professional and supportive environment. Star Steppers are often asked to provide entertainment and dance parties for school discos and events. Christmas parties, leavers balls and end of year discos are always a good excuse for a Star Steppers Party!